When thinking about natural disasters, our minds usually turn to images of floods, hurricanes, earthquakes and the like that create a pretty good show while they are devastating the countryside and people. Reports about the damages caused by such disasters will sometimes give a fleeting mention of crop destruction, but you do not hear much more about agricultural disasters until you get to the supermarket and see increased prices for some items. Crops are vulnerable to all types of catastrophe. Drought, fire, flood, heat waves, severe storms, and cold snaps can all destroy crops. Insect infestations and disease can result from weather severities and can destroy crops. El Niño, a large scale weather pattern which changes rainfall worldwide can reap major havoc on crops. The United States alone suffers around $ 2 billion in agricultural loss during an El Niño. Other weather patterns such as the Pacific Decadal Oscillation and La Niña have the same affects. Drought has not only cost millions of lives, but hundreds of billions of dollars of damages to crops just since the late 60's. Technologies used between 1950 and 1984 to produce larger crop yields have backfired. While these technologies (pesticides leading to soil contamination for example) have historically increased crop yields, they are now seen as having reached their peak and have actually contributed in a major way to decline of arable land available for farming. As the world population continues to grow, scientists have been pressing to find solutions to agricultural catastrophes. Politicians have been called to join efforts with the scientific communities in efforts to mitigate crop disasters and improve production and distribution efforts. Early warning system technology has been developed to accurately predict, monitor, and mitigate disasters that threaten world crop production. Continued efforts by the scientific community, famine is a growing concern and predictions of major famine are on the horizon. 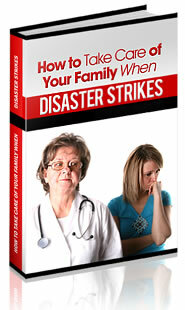 Natural disasters are not all we must watch for when preparing for famine, however. Politics and economics have killed millions of people via famine over the centuries. Consider the Great Irish Famine in 1845 in which hundreds of thousands of died of starvation. There was no loss of food. It was purely being shipped to England where it commanded a higher price on the market. The same is true of the Ethiopian famine of 1973. Famine can be used by politicians to impoverish sectors of populations. They may unintentionally activate poor distribution policies. Acts of war can wreak havoc on supplies, growing, and all other areas of food production and distribution. …… sets the maximum US population for a sustainable economy at 200 million. To achieve a sustainable economy and avert disaster, the United States must reduce its population by at least one-third, and world population will have to be reduced by two-thirds ……. While predictions were originally placed that we will begin to feel the impact of agricultural crisis after 2020, and that situations will become critical after 2050, the peak of natural gas production has been cited as possibly bringing us to crisis levels of famine much sooner as food prices will continue to rise. According to Geologist Dale Allen Pfieffer, spiraling food prices arising from oil production and pricing may bring about massive starvation on a global level "such as never experienced before." Between the crop destruction due to natural sources and food deprivation brought on by political and economic factors, the prognosis for us is not good. While it can not be cited with any certainty that humans are the cause of global warming, we are not fairing very well in the issue of food sustainability. While criticisms of population control point to the fact that there are still forests and plenty of open land onto which we stuff more and more people, they completely neglect to look at the decreasing amount of availability of food for these populations and oncoming predicted food crisis. When scientists are joining with politicians in major efforts to divert disasters which can wipe out already sensitive food supplies, it is high time to give up on the idea that we can produce infinitely with no adverse reactions from Mom Earth. While a naturally arrived at negative population growth could answer many of the ever growing concerns of feeding mass populations, too many do not believe in overpopulation and react negatively to the idea of ? ?producing fewer children. In any event, mass starvation does threaten to do what humans refuse to. Disaster preparedness has become a vital interest to people as natural disasters increase in frequency and strength. Many have kits assembled to face whatever catastrophes their local areas can produce. When viewing items listed for disaster preparedness, few kits contain more than a small reserve stock of food to provide relief in immediate disaster conditions. The lack of forethought about food availability on a larger scale is frightening. Each citizen must be aware that worldwide famine is an all to real possibility in the very near future, whether naturally or governmentally induced. We need to prepare to be able to feed ourselves. That means you must have agricultural preparedness supplies. If you have the means to grow your own foods, you are much less likely to starve when famine strikes. Organic food seeds, soil, and organic pest deterrents should be a part of every household. Seeds that can produce food in the short term such as bean or alfalfa sprouts and wheat grass should always be included in food kits. Sprouts can be grown in small amounts of soil and can produce extremely healthy food in minimal amounts of time. Seed supplies should contain both vegetables and grains which will provide for long term food sources as well. By learning hydroponic gardening skills you can be assured of the ability to grow food even if soil is rendered completely useless or dangerous. It would be wise to learn to can own your own foods. In times of food scarcity, whether prompted by actual lack of supplies or prohibitive food prices, having your own renewable supply can save your life – especially if you are in a population sector that is targeted to receive reduced supplies of food rations. Remember – millions upon millions of people have died in famines that were produced by economic factors rather than actual short supplies of food. No natural disaster is necessary to trigger a famine. Natural disasters affect food supplies and food prices and can trigger famine. Prepare to be able to feed yourself during a famine and keep food growing supplies on your list of disaster preparedness items.